Morris, Robert, 1734-1806, United States > History > Revolution, 1775-1783, United States > Finance And Taxation > History, Publisher: Dodd, Mead. 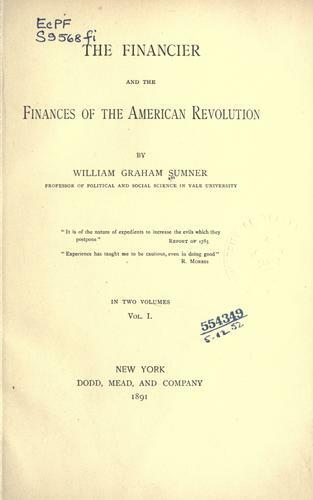 We found some servers for you, where you can download the e-book "The financier and the finances of the American revolution." by William Graham Sumner MOBI for free. The Free EPUB Books team wishes you a fascinating reading!